Singing a document with your own initials is a way to autograph your work and let readers now about the authorship. Note: Do not confuse initials with digital signature. Unlike digital signature, inserting initials do not guarantee authenticity of the PDF document and can not be used to verify validity of the document or to prevent unauthorized changes to it. To insert initials to a PDF document, use the Insert > Place Initials menu. Click the Create New Initials item to add new initials or select one of available initials to place initials in the document. 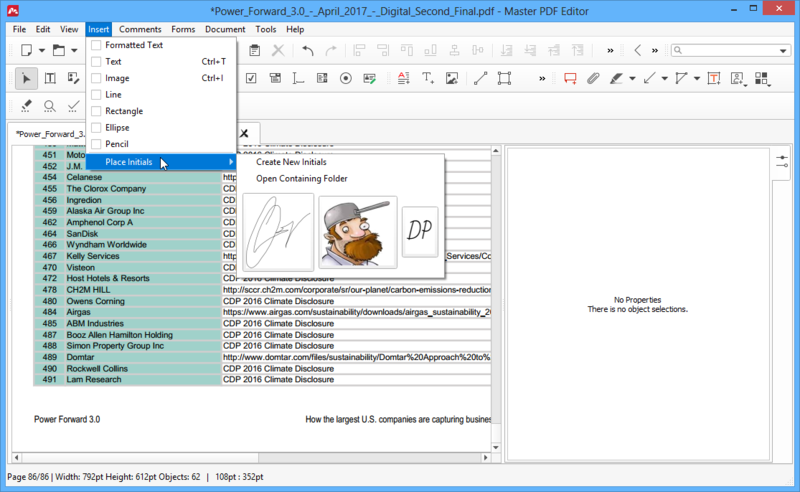 The Open Containing Folder item opens the folder where all available initials are stored as PDF files. Depending on your choice, the interface of the dialog changes accordingly and allows you to specify initials you want. Select Type my initials in the dropdown list. 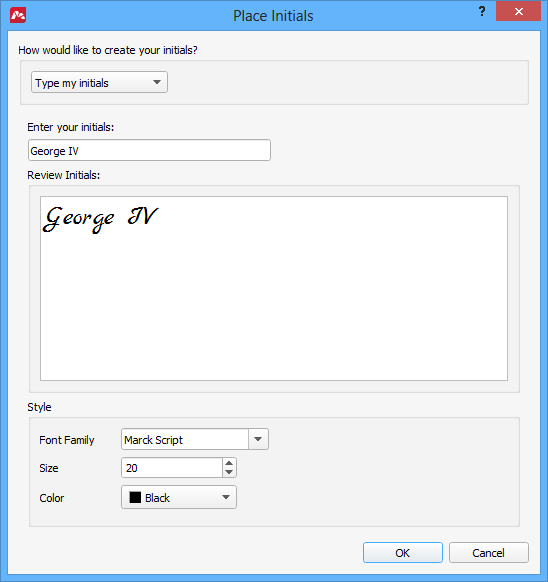 Enter your initials in the textbox. The preview is instantly displayed below. 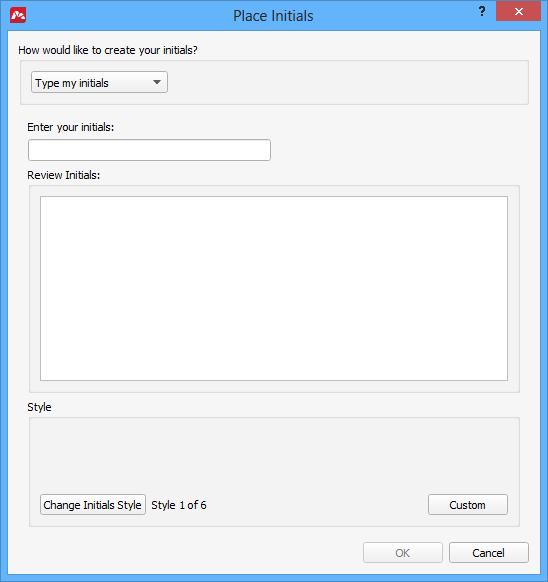 You can select between predefined styles or set your custom style. Select Draw initials in the dropdown list and draw initials in the central box. You can adjust color and width of the initials. 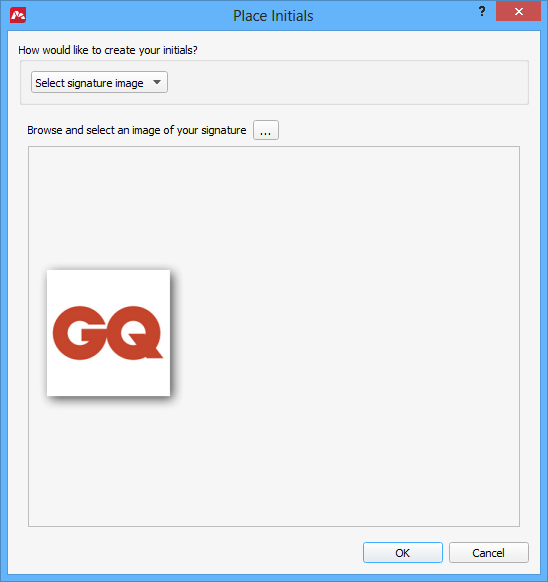 Select Select signature image from the dropdown list. Browse for an image you want to use as your initials. Open the Insert > Place Initials menu and click one of available initials. 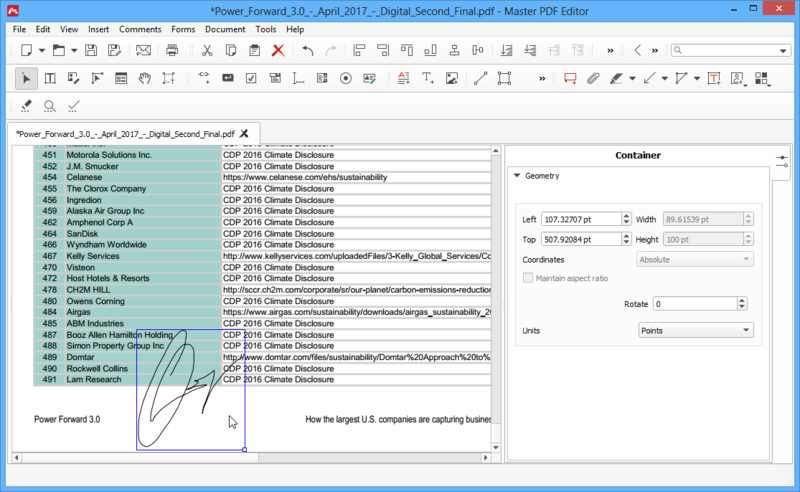 Then place the initials in the document. You can adjust the geometry of the initials using the side panel. 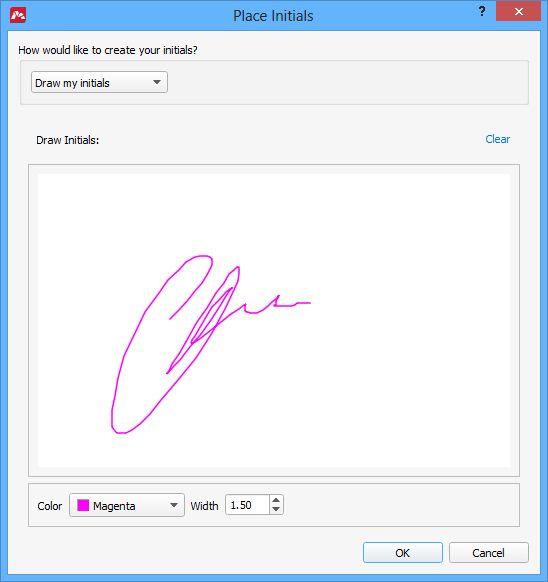 Create and verify a digital signature in a PDF document.